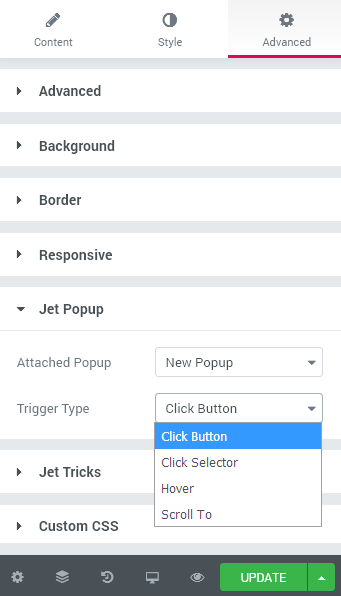 JetPopup, the one plugin everyone’s been waiting for from the time it was officially announced, is, at last, available in the CrocoBlock subscription! It comes with over 40 pre-designed popup templates on different purposes (and even more in the future updates), allowing to build popup templates of any design and complexity using Elementor, its widgets and the ready designs or the layout presets. With JetPopup you’ll get an opportunity to hit the bull’s eye and garner full attention of your visitors in the most positive sense of this word. Once you’ve decided to create a popup, the first and foremost concern is always about the attention of the visitors. Some popups just tend to irritate the visitors rather than inspire them to subscribe. That’s the exact reason why it’s so important to get things right when creating popups. The place and the timing really do matter. And, of course, you can’t overlook the design. 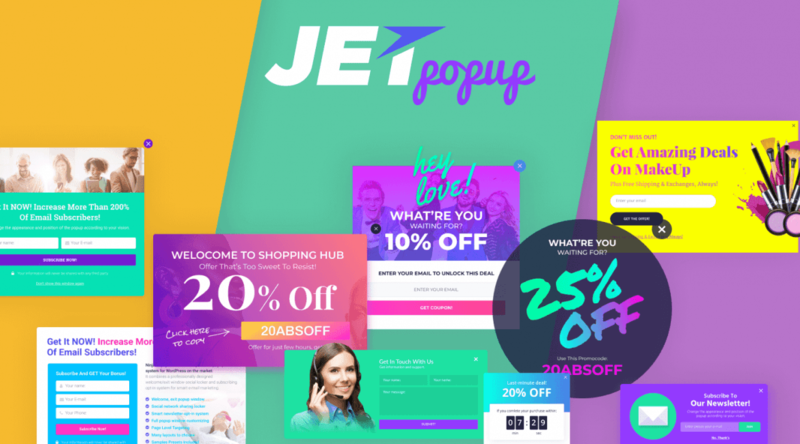 With JetPopup plugin you definitely have no limits while creating the perfect popup to bring your visitors’ attention to the most important matters of your choice. style its appearance and animation to fit your general website’s design and look natural. One of the most important things that can’t be overlooked is that JetPopup is made for Elementor page builder. It requires no coding skills whatsoever. Instead, you’ll be able to drag and drop the widgets to the popup template the way you’ve been always doing with Elementor. Actually, you can add any widget with any content you want, style it up, or place a shortcode to add the content you need in case there is no widget for it yet. JetPopup keeps everything as easy as breathing. 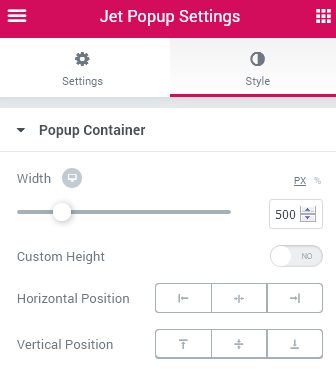 In case you don’t want to use a ready-made preset, you can position the popup any way you need using Horizontal and Vertical Position options in JetPopup Style Settings. Also, you can make it full-width and full-height by setting the percents it occupies. Once you’ve created the popup, it’s high time to choose when it should be displayed. 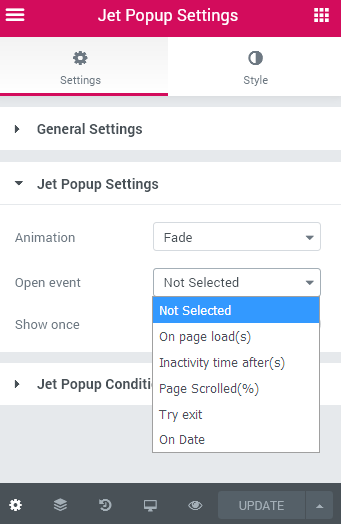 With JetPopup you can easily set the popup to show up on opening; when the user attempts to exit the page, scrolls the page and has viewed the certain percentage of its content. Also it’s quite possible to make the popup template show up on the set date, or make it float in when the user has been inactive for some time. All these settings are located in Settings > Open Event dropdown and are easily accessed from the editor page where you work on the popup template. In case you need the popup to appear when one hovers over the specific widget, or its part, or clicks the specific button, you can also make it happen. Just open the widget’s Advanced settings and select the Attached Popup template from the dropdown located in JetPopup block. 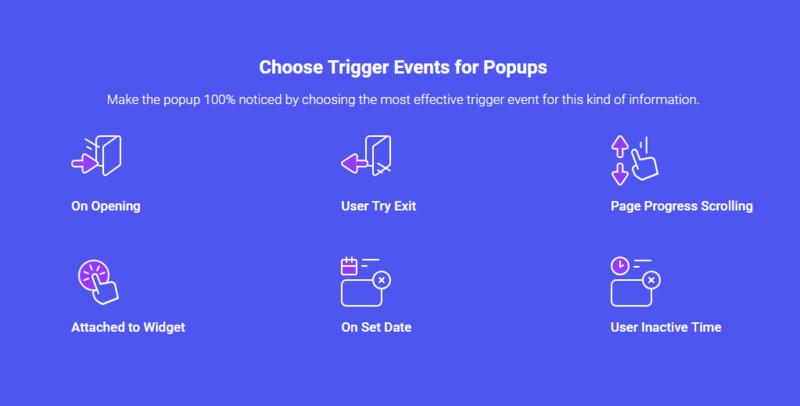 You’ll also have to select the trigger type (click, hover, scroll), update the changes, and refresh the page on front-end to see the popup in action! 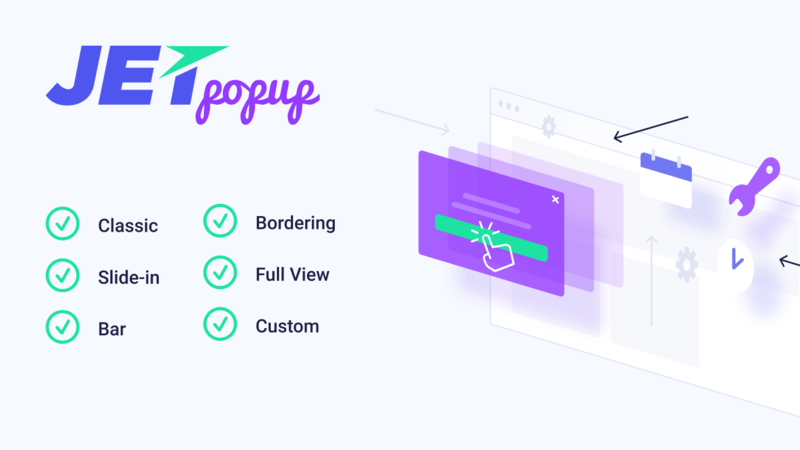 What I enjoy the most about JetPopup is that you can stop wondering if the appearance of your popup will look like on live demo, because all the popup templates shown there are already included in the popup templates library. Some changes here and there, a bit of touch to the typography settings, and you’ll have the popup you always wanted to build! Nowadays popups represent one of the most effective ways of delivering information. They showcase subscription forms, info notices, inform the visitors about ongoing discounts and the timeframes for the sales. When the popup is really well-designed and aimed right, it has all chances to get the visitor interested and keep him informed. 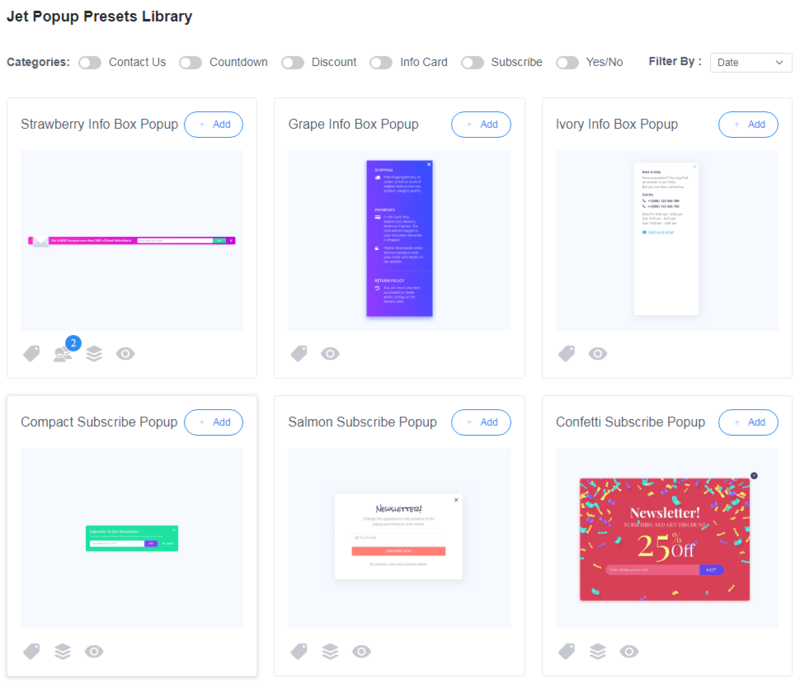 JetPopup is just the plugin you were looking for if you’re up to creating popups and want them work for you, not against you. With it, you can add the popups just in the right places to keep the attention fixed when it’s needed.